The Calendar Is Ending! We Are All Doomed! My middle-grade fantasy, Finders Keepers, turns partly on the struggle to avert a disaster that will occur when the calendar changes to the year 4000. As the story approaches New Year's Eve, 3999, a plague kills many people, earthquakes swallow buildings, and floods threaten to drown the city. All will be lost unless the book's 12-year-old hero, Cade, is willing to risk his own well-being to save everyone else. I got the idea for the plot while I was drafting this book in 2012. The internet was abuzz with speculation over what might happen on 12/21/12, the last date on an ancient Mayan calendar. Speculation that the world would end was so common that NASA put up an information page thatexplained why it wouldn't. The furor reminded me of similar fears when the calendar rolled over to the year 2000, and we endured the so-called Y2K panic. Even some rational people feared civilization would collapse because of computer problems caused by the date change. Given how dependent we are on computers, it was hard to say people had no reason to worry, but a portion of the population entered into the panic with gusto, buying guns and stocking up on food and fuel. They generalized from a computer glitch to a gigantic social meltdown and possibly the end of the world. Why do people put so much weight on the change from one page of the calendar to the next? After all, dates are created by humans and are somewhat arbitrary. So why do we lend them such significance? I think it's because we human beings want to understand the unknown. We want cause and effect. We want meaning. Psychologists say our brains are wired to find patterns, to connect one thing to another even though there's no necessary connection. So in a primal way, the link between the end of a calendar and the end of the world makes sense. Given this need, fiction is satisfying partly because a plot shapes events into a pattern. If something happens, experienced readers expect it to matter. If an event has no consequences, we're likely to be annoyed, or at least wonder why the editor didn't insist the scene should be cut. Events that matter and form a pattern create the difference between plot (one thing causes another) and chronology (one thing simply comes after another). My life has chronology, but not much of a plot. What I'm doing now probably has little connection to what I'll do this afternoon. On the other hand, my character Cade's life has a plot. Everything matters. That's one reason fiction often feels richer and more satisfying than daily life. Of course, Cade's plot causes him a lot of problems and pain. I was happy to still be around to give an open house on January 1, 2000. I'm contented to stick with my chronology and enjoy my plots in fiction. 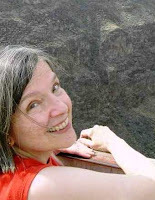 D. A. Winsor spent years as a technical communications professor, studying the writing of engineers, before discovering that writing YA and MG fantasy was much more fun. 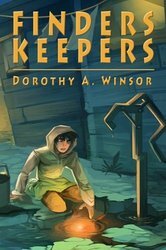 Finders Keepers is Winsor's first novel, though if you look closely, you can probably find a literal million words of Winsor's Tolkien fanfiction posted somewhere. Winsor lives in Iowa. A summary of Finders Keepers on twitter would read: Boy senses presence of heart stones. Girl recruits him to steal some. World ends at New Year if they fail. Boy also rescues mother. Tricky.